Cesc Fabregas is back from a trip abroad and ready for the final part of the season with Chelsea FC. The 30-year-old midfielder has recently spent some time in warmer climes after he jetted off for a quick holiday following his snub from the Spain squad for their friendly clashes. The former Arsenal captain, though, is now back in England as he begins training at Cobham and looks to enjoy a strong end to the season with the Blues. Fabregas has scored one goal and made four assists in 26 Premier League games for the west London club so far this season. He will now be hoping to help Chelsea FC break back into the top four before the season ends as the Blues look to book their place in next season’s Champions League. The Spaniard will also be aiming to help the west London side win the FA Cup, which is the last trophy available to Antonio Conte’s men this season. And the midfielder is clearly now focused on getting his fitness levels up as he prepares for the end to the season. 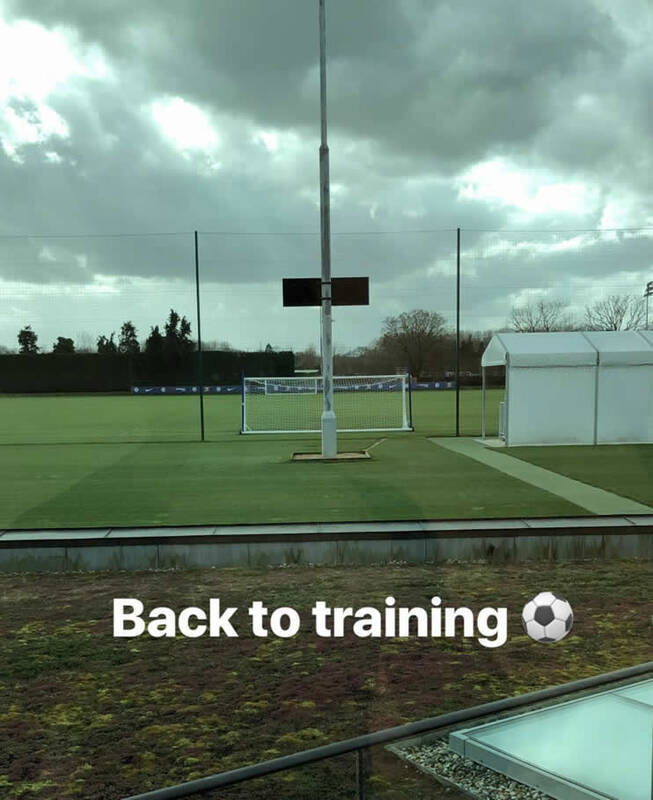 He posted the picture above of himself reporting for training at Cobham on his personal Instagram story on Friday. Chelsea FC host Tottenham Hotspur in the Premier League at Stamford Bridge after the international break.